The Aston Martin V8 Vantage was hailed as “Britain’s First Supercar” for its 170 mph (270 km/h) top speed when introduced. It used high-performance camshafts, increased compression ratio, larger inlet valves and bigger carburettors mounted on new manifolds for increased output. Straight-line performance was the best of the day, with acceleration from 0–60 mph (97 km/h) in 5.3 seconds, one-tenth of a second quicker than the Ferrari Daytona, its main competitor of the time. With the introduction of the Vantage specification, Aston Martin’s V8 was thrust back into the supercar league. The name had previously been applied to high-power versions of the DB six-cylinder cars, and in the V8’s case, the Vantage tune raised maximum output to around 375bhp: in Rolls-Royce fashion the factory chose not to disclose the actual figure, merely claiming that power was ‘adequate’. 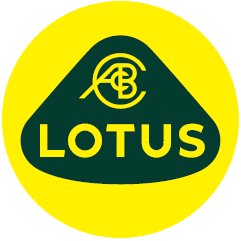 Chassis changes were minimal apart from the adoption of bigger ventilated disc brakes all round and low profile Pirelli tyres. The Vantage was, nevertheless, readily distinguishable from the standard product by virtue of its blocked-off bonnet scoop, blanked air intake, front chin spoiler and lipped boot lid. The cars performance was shattering, the Vantage’s 0-100mph time of 12.7 seconds making it the world’s fastest accelerating production car at that time. The Volante was produced to satisfy demands from the overseas markets and the Vantage X Pack was debuted in 1986. The design Featured a redesigned bonnet, flared wheel arches, boot spoiler, extended deep front spoiler and sill extension covers. The result was a muscular, aggressive-looking car that could justifiably claim to be the world’s fastest convertible, all the more so when it came with the optional 432bhp ‘X Pack’ engine. Our car was supplied on the 28th January 1988 to Astro Technology of Fareham, Hampshire: externally finished in Chichester Blue / Blue Hood, complemented by Parchment Hide upholstery, piped in Blue. The Volante has the added benefit of its original and complete Handbook Wallet Pack, documented service history from new with the last service plus full post sales preparation just completed (January 2014) by an official factory authorized Heritage Service Centre. 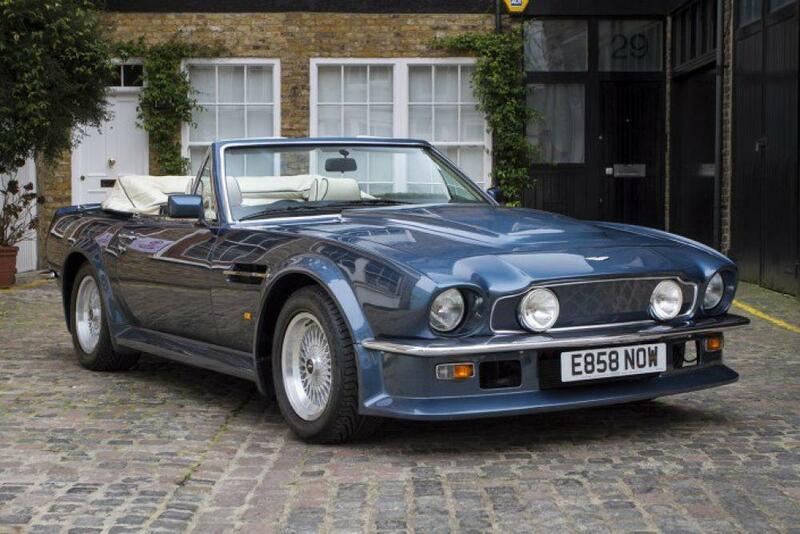 With a total of only 30 Vantage Volante “X Pack” Automatic cars ever produced, this fabulous motorcar is a formidable piece of automotive history & represents a rare opportunity to acquire what many collectors consider as being the ultimate convertible Aston Martin. With an extremely low mileage of only 19,496 miles from new it is another compelling reason that this car should not to be missed!